D1 – From the Col des Boeufs, start of our hike towards the “Lowlands” of Mafate along the Scout path. 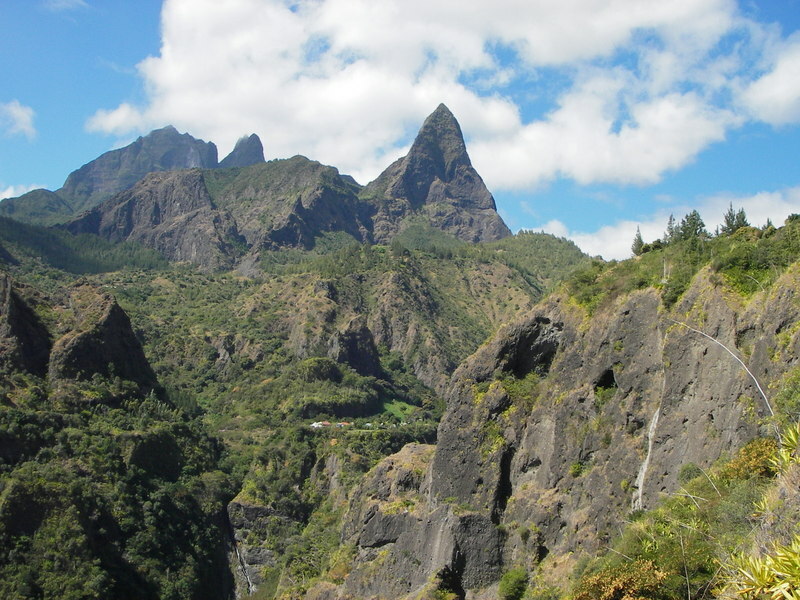 Stunning viewpoints for the Salazie and Mafate cirques. The path goes through forests, along crests, across ravines, before heading up to the hamlet of Ilet à Bourse. Dinner and night in a lodge in Ilet à Bourse. D2 – We continue our loop via Grand-Place - where the famous postman of Mafate (now retired) lives, Cayenne then Aurère, îlet set at the foot of pyramid-shaped Piton Cabris. Dinner and night in a lodge in Aurère. D3 – At sunrise, small wake-up walk to Ilet à Malheur. We then head back to the lodge to get some breakfast, before our hike in a river bed in a wild and fresh atmosphere, towards the Col des Boeufs.